There are many, many things I love about Autumn but perhaps the thing that gets me most excited is the makeup aspect. These are all mostly cliches, so I hope that you’re as excited as I am. Can we even get more Autumnal than MAC Rebel? 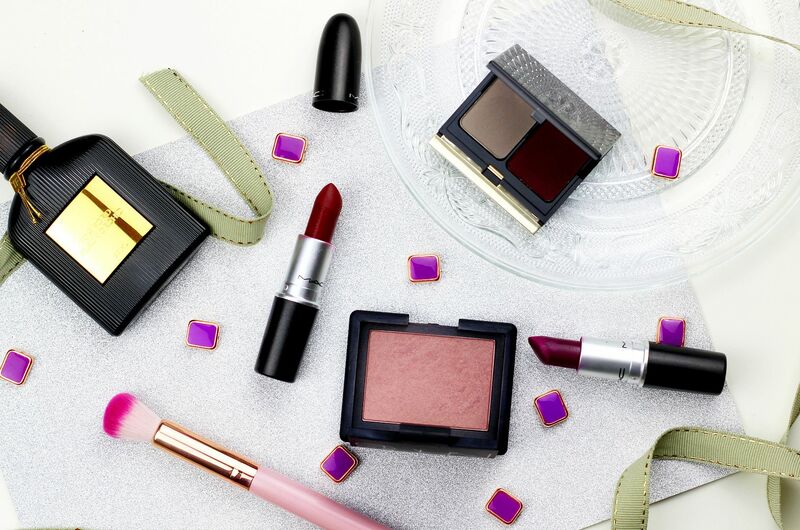 It’s a gorgeous purple berry that isn’t too dark – I feel like bloggers everywhere love this shade, so I’m not alone in embracing all things berry. I also love using Diva because I think the name perfectly describes how sassy the darker colour makes you feel. To perfectly complement any darker lipstick, I always end up going back to Nars Sin. The shade gives the nicest flush to the skin. It’s one of the shades I gravitate towards that isn’t a peachy pink so maybe that acts as a testament to how lovely it is. Eyes wise, I adore the Kevyn Aucoin eyeshadow duo in Stormcloud/Malbec. The shades look pretty average in the pan but transform into something magical on the lid. Lastly, my favourite Autumnal perfume… Tom Ford Black Orchid. Incredible. What makeup styles do you wear in Autumn?